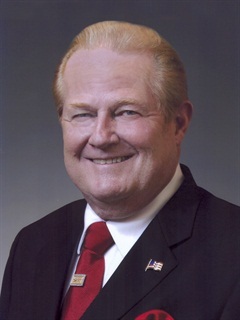 Rush Enterprises announced that W. Marvin Rush, founder of the company that would grow into the country's largest truck dealership group, has passed away. He was 79. Rush founded the company 53 years ago and served on its board of directors from its incorporation until August 2016. He also served as the Rush Enterprises chief executive officer from its founding through 2006. Rush opened his first dealership in 1965 with two partners in Houston. In 1967, he made his first 100-unit fleet sale of Peterbilt trucks and started a leasing company and a financial services division. Nine years later, Rush bought out his partners to become the sole owner of Rush Enterprises. In 2008, W. Marvin Rush won the Truck Dealer of the Year Award, sponsored jointly by Heavy Duty Trucking magazine and the American Truck Dealers division of the National Automobile Dealers Association. You can read HDT's interview with Rush and the other nominees that year here. “Words cannot begin to express how much I loved and admired my father. I learned so many valuable lessons from my dad about business, life, family and how to treat people with respect throughout my more than 40 years of working for and beside him," said Rusty Rush. "My dad was a very special person who impacted me, our family, our employees, our customers and countless others in more ways than I could ever describe in a press release. I am very blessed and grateful to have had such an amazing father, and I will miss him dearly."